Ms Judy Cheung, Deputy General Manager of Messe Frankfurt (HK) Ltd, is delighted with the turnout this year: “PLSG is committed to supporting the industry’s development by offering a first-class business and information exchange platform for the entertainment sector. We wanted our exhibitor showcase and fringe events to cover every corner of the industry’s needs, and to echo the growing trends in media technologies and system integration. We’re proud to be able to capture so many opportunities all under one roof. The 2020 edition of Prolight + Sound Guangzhou will be held from 19 – 22 February 2020 at Area A and B of the China Import and Export Fair Complex in Guangzhou, China. Prolight + Sound Guangzhou is organised by Messe Frankfurt and the Guangdong International Science and Technology Exhibition Company (STE). 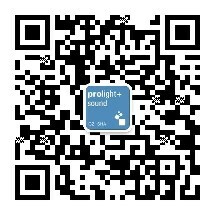 For more details about the show, visit www.prolightsound-guangzhou.com or email plsgz@hongkong.messefrankfurt.com.